With a wide variety of diets available today, there is a basic outline which is advisable to be followed when it comes to healthy eating. Here are some useful pointers that you can refer to and use. Use them by themselves, or with a specialized diet, to make sure you get what works for you. Combined with a regular workout, they can go a long way in ensuring that you remain fit and fine the healthy way. 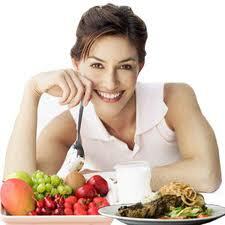 Fruits and vegetables are just about the most important food in almost any kind of diet. They’re healthy, have minimal fat, and curb hunger pangs effectively. Contrary to popular belief, they do not always have to be bland or unsavoury. The truth is, they can be just as (if not more) delicious than their unhealthy counterparts. 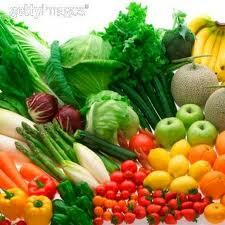 At least five portions of a variety of fresh fruits and vegetables a day is advisable. (one portion is 100g, i.e. 3 and 1/2 oz). High-fibre foods help in keeping the digestive system running effectively. It’s important to get the right amount of high-fibre foods into your diet every day. They also help in settling hunger pangs, so are a quick solution to periods when you have to go for a while between meals. This prevents you from indulging in more food than you need after that gap. Legumes, grains and cereals constitute these foods. Protein intake is necessary in moderation. 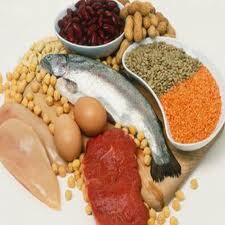 Protein is a vital nutrient, essential to your health. 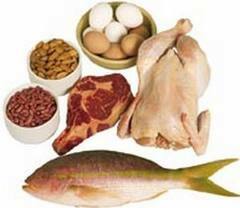 Proteins help replace and form new tissue, transports oxygen and nutrients in your blood and cells, regulates the balance of water. This keeps your body working smoothly, and helps in getting rid of excess fat by helping towards creating a well-paced metabolism. Vegetable-protein diets enhance calcium retention in the body and results in less excretion of calcium in the urine. This reduces the risk of osteoporosis and kidney problems. Interestingly, kidney disease is far less common in people who eat a vegetable-based diet than it is in people who eat an animal-based diet. By replacing animal protein with vegetable protein and replacing saturated fat with unsaturated fat, like that found in olive and canola oils, you can avoid the pitfalls of the typical high-protein diet. This makes sure that you can lose weight, without compromising on your health. The importance of a balanced diet cannot be stressed enough. No matter what the amount is that you it, it is essential that you are getting the right groups into your daily intake. Adopting a well-balanced diet which includes 55 % of calories from carbohydrates, 30 % from fat (vegetable oils and seed oils are healthy, but try to keep saturated fat intake down to a minimum), and 15% from protein will keep you healthy. Avoid fad diets and diets that make big promises with little effort. A good rule of thumb to follow is if the claim seems too good to be true, it probably is. 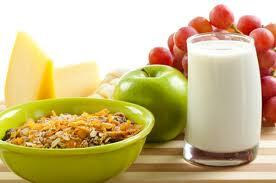 A good breakfast is a very important part of a fitness diet, because it gives you your stamina for the rest of the day. Don’t ever skip, or compromise on your breakfast. If you do, the chances of you getting hungry before lunchtime are very high. If that happens, you will end up eating something unhealthy. www.eze-tone-real-time-fitness-training.com - here you can get downloadable, Audio mp3, e-books and computer interactive fitness programs!